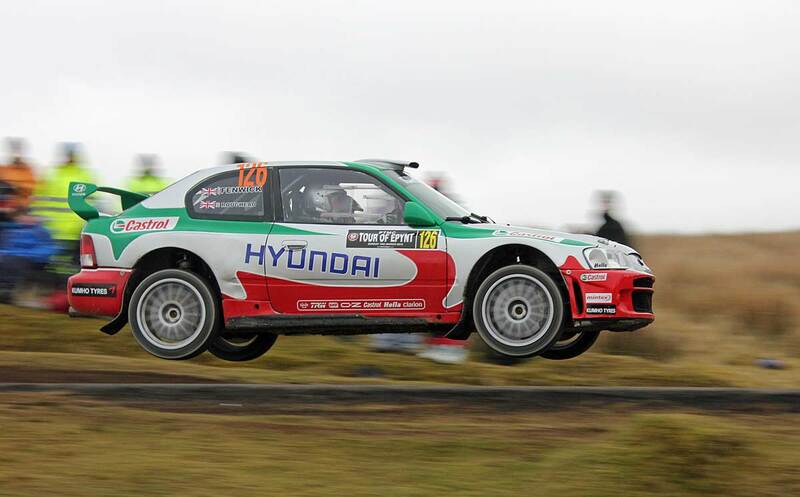 W3 MSD is an ex-works Castrol Hyundai World Rally Championship (WRC) car, originally driven by Kenneth Erikkson, co-driven by Staffan Parmander during the 2001 World Rally Championship. Andrew Fenwick, owner of Lincoln based NEC Security Forms Ltd, has owned and successfully competed in a number of World Rally cars. The Hyundai arrived in 2012 shortly after Andy sold his ex-Richard Burns Factory Subaru Impreza WRC, although he had previously campaigned an ex-Armin Schwartz Skoda Octavia WRC. Andy won the 2008 Jim Clark Reivers Rally in the Skoda. Formerly black the 300bhp Hyundai WRC car now proudly displays it’s works heritage in original Team Castrol Hyundai livery. See the rallylamps.com Blog for upcoming event details. Designed by Perceptive Development Ltd.